Professor at Collège de France, chair: Dynamics of living systems / Director, Turing Center of Living Systems, Marseille. Institut Convergences. Thomas Lecuit and his team study how epithelial tissues maintain a robust organization and extensively remodel as they grow and change their shape during development. Epithelia form barriers that are both structurally robust and constantly remodelled during development. Perturbations in this balance underlie solid cancer progression. How this is controlled is a fundamental unanswered question in biology. The major ambition of Thomas Lecuit and his team is to understand this problem using interdisciplinary approaches that combine the most quantitative analyses with physiological studies in whole organisms. Thomas Lecuit and his group decipher the biochemical underpinnings of cell and tissue mechanics, namely how forces are generated and how they produce deformations, and characterize their regulation by conserved signalling pathways. Tissue robustness requires adhesion mediated by E-cadherin complexes. Plasticity is an active process driven by actomyosin contractility whereby cells remodel their contacts. 1/ how do forces emerge in the cells? 2/ How do E-cadherin complexes control adhesion and force transmission? 3/ How do intercellular developmental signals control cell mechanics to drive tissue deformation? 4/ How do cell division and tissue growth affect tissue mechanics and vice versa? 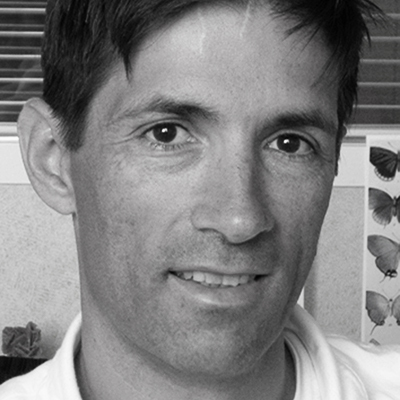 Thomas Lecuit and his team use the fruitfly Drosophila as a model organism. The major components of cell mechanics are shared with humans and Drosophila lends itself to a powerful combination of functional, molecular and physical approaches. Our group is interdisciplinary and employs a battery of experimental methods ranging from biochemistry, genetics, imaging and modelling.